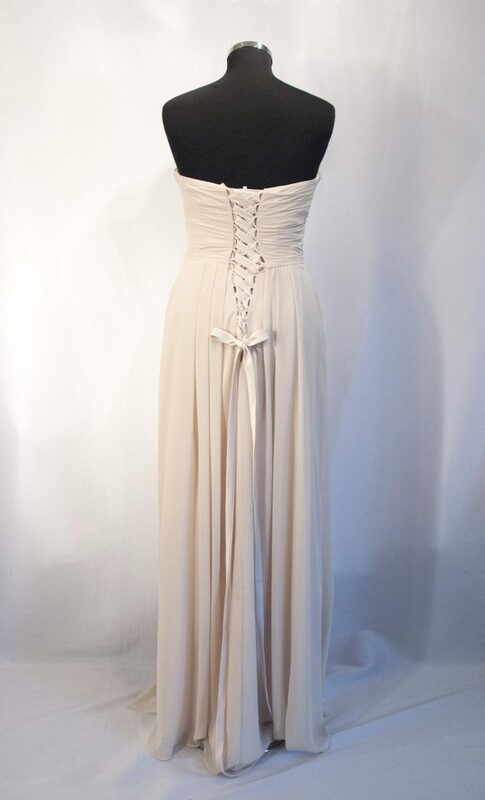 Pretty strapless dress in Champagne with criss cross body detailing on the bust.Embellished with Sequins and Jewelling detail for added glamour. 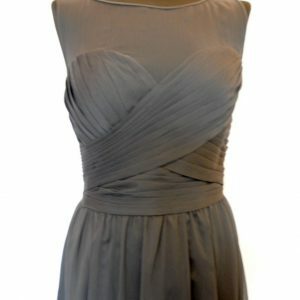 Empire line and floaty – perfect for a Bridesmaid or a prom. 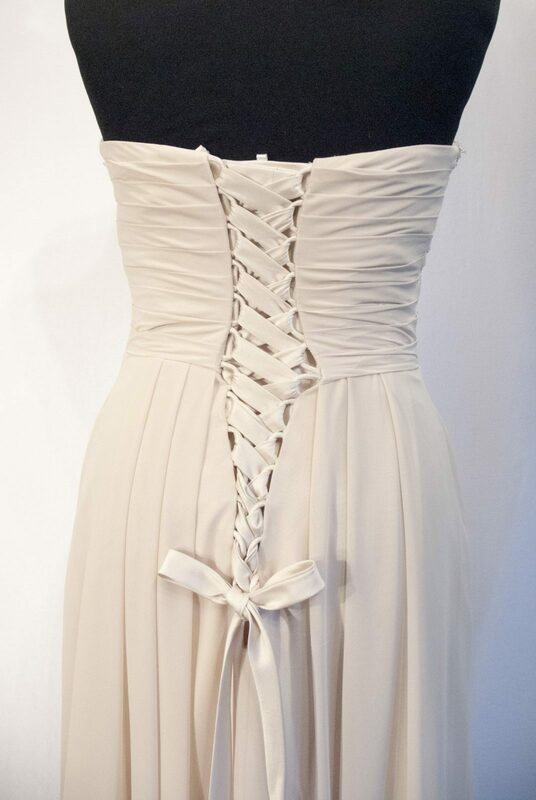 Pretty strapless dress in Champagne with criss cross body detailing on the bust.Embellished with Sequins and Jewelling detail for added glamour. 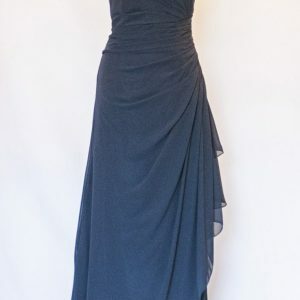 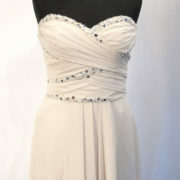 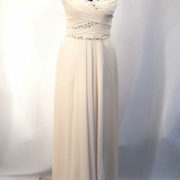 Empire line and floaty - perfect for a Bridesmaid or a prom. 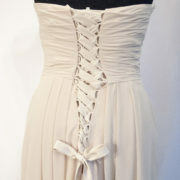 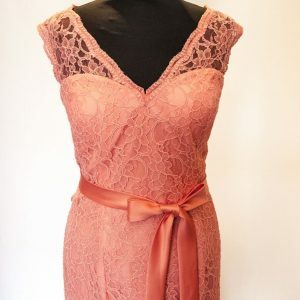 This Dress also features an elegant lace back fastening.